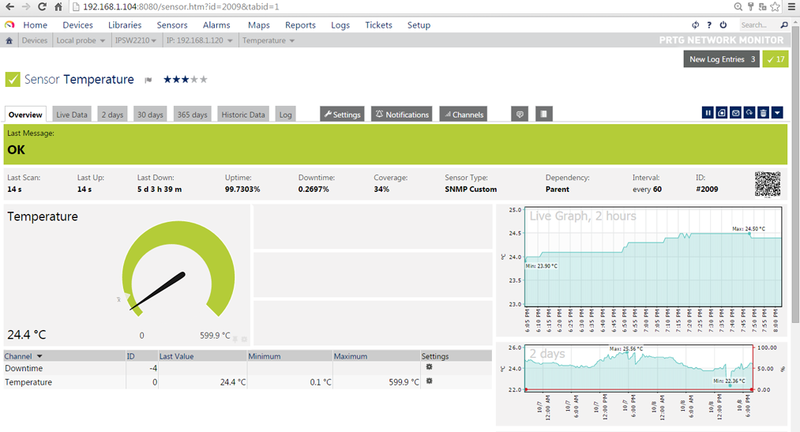 IPSW2210, IPS2222 and IPS2225 can be controlled and monitored with PRTG monitoring software by SNMP protocol. PRTG is product of Paessler AG. 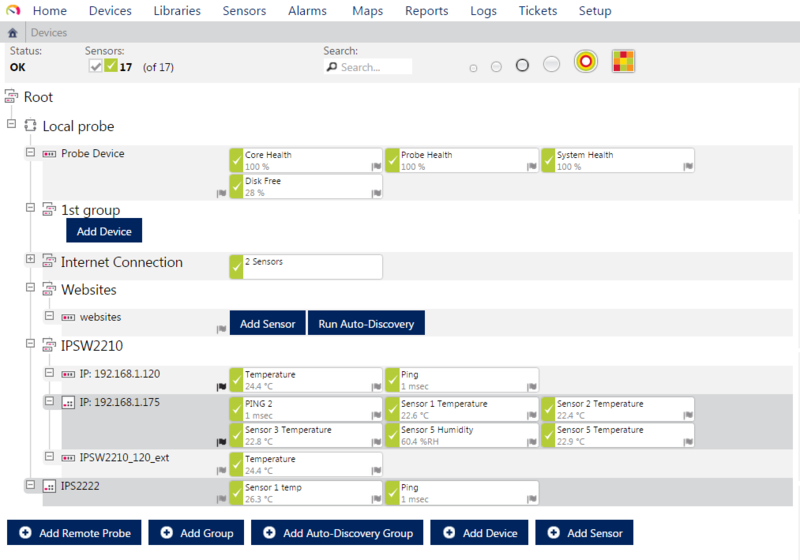 PRTG can collect data for almost anything of interest on your network. It supports multiple protocols for collecting this data. 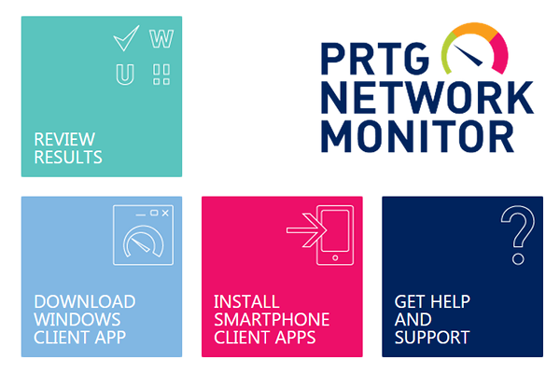 PRTG Network Monitor runs on a Windows machine within your network, collecting various statistics from the machines, software, and devices which you designate. 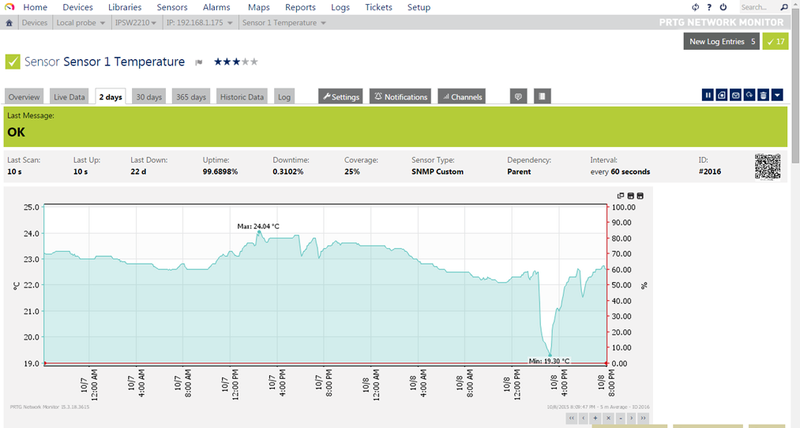 Paessler provide also Mobile Network Monitoring by PRTG. Save time and check your network while on the go! 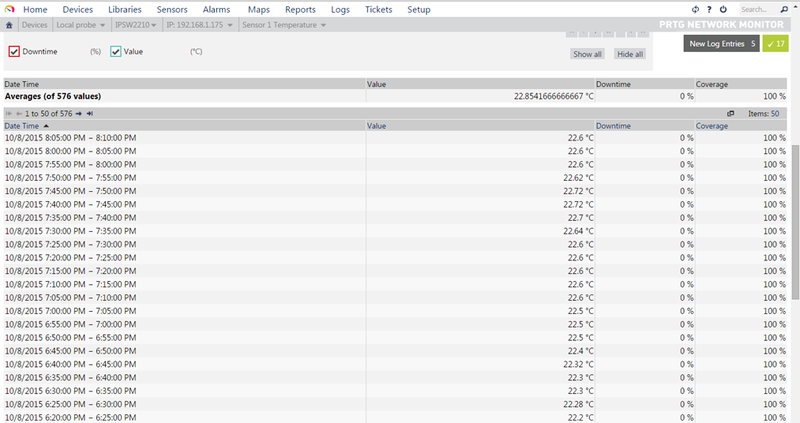 Review monitoring data, check your devices and sensors, get informed via push notifications, and do many more things!